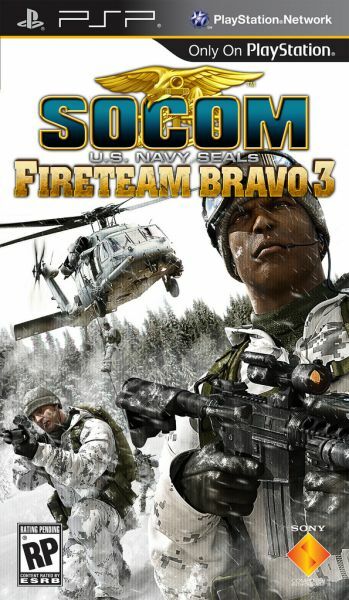 We got our hands on SOCOM U.S. Navy SEALs: Fireteam Bravo 3 at PAX, confirming 4-player co-op both online and locally (ad hoc) and thoroughly enjoying our limited time with the title. We did not have a release date, however. Sony has now announced official pre-order details and a release date of November 24th. For those who like to reserve your game copy ahead of time, Sony and Slant Six have set aside two weapons and two soldier outfits just for you; these unlocks will be available for use in multiplayer modes. Kommando Speizialkrafte (KSK): Play as the deadly KSK. Formed at the end of the Cold War, the KSK operates under the Special Operations Division. KSK operators go through an intense training program, taking up to three years to complete over 20 counter-terrorism specialist courses. Special Air Service (SAS): Compete as the elite British SAS. Often considered the template by which other Special Forces are organized, the SAS has its origin in the North African Theatre of World War II. The motto of the SAS is “Who Dare Wins,” a solid description of their skill and mindset. F2000: The German KSK are outfitted with the powerful F2000 assault rifle. The F2000 offers the most popular features of the modern assault rifle including a compact bullpup layout, completely ambidextrous handling and a modular design with plenty of options and add-ons which allow the rifle to be tailored for any mission or tactical situation. AS-50: The British SAS come armed with the deadly accurate AS-50 BMG sniper/anti-material rifle. The AS-50 .50 BMG sniper/anti-material rifle enables operators to engage targets from long range with high accuracy. Lightweight and transportable, the AS-50 can be disassembled in less than three minutes and serviced without tools. These unlocks will be available through participating major retailers, including Amazon.com. Additionally, anyone who purchases the title via the PlayStation Network within 30 days of launch will receive the same bonuses. Look for our co-op review in December!